Firstly let us introduce ourselves and give you an idea of our backgrounds within the industry. 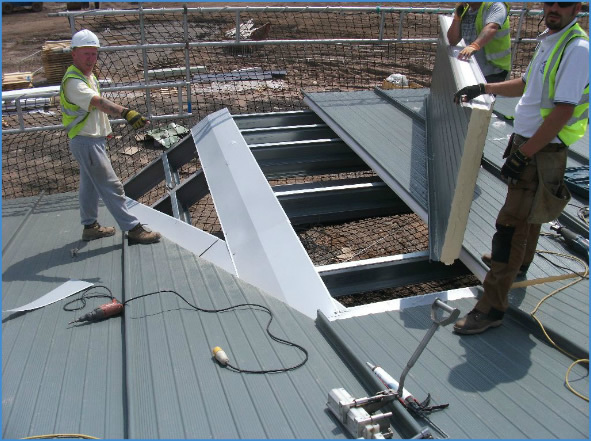 DnF Roofing & Cladding Ltd undertakes all disciplines of work within our company, including, standing seam, all built up systems, composite, single ply membrane, and rain screen systems. Mr Mick Fowles has been working within the industry for the last 35 years. During this time he has had the experience of working on projects, as part of the labour force, and for the last 14 years he has been managing all areas of a supply and fit, roofing and cladding company. We feel that this combination of knowledge proves to be very beneficial. It enables us to ensure that our projects are efficiently managed and are completed on schedule. We undertake all disciplines of work within our company, including, standing seam, all built up systems, composite, single ply membrane, and rain screen systems. We're positive that whatever project you're undertaking, we're experienced and competitive enough to get the job done within budget, on time and to the very highest standard. Our vast experience enables us to ensure that our projects are efficiently managed.